Dr Bergeron’s practice is limited to liposuction surgery and bariatric medicine. He has been practicing medicine in Houston since 1993. He is one of the busiest liposuction surgeons in the region personally performing 25-30 liposuction cases per month. Our client hired us to create him a myspace page for SEO purposes. 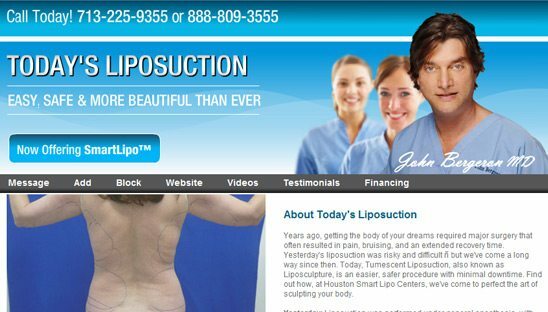 He wanted to target “Dedicated exclusive to liposuction” to search engines, so we made sure to put that phrase and link to website a few times on the page. The design is based off his present website.